Prior to relocating to Southern California, Joe Sasto dove head-first into the restaurant industry by mentoring under some of the Bay Area’s most acclaimed chefs and restaurateurs. Early in his career, Sasto found it difficult to get a foot in the door in the culinary industry after forgoing the traditional path of culinary school. Instead, he spent his undergraduate years at University of California at Davis, largely sustained by cooking gigs and a driving passion for food, which he learned at a young age cooking by his mother’s side. Making his own way and after earning his Bachelor’s degree, in 2010 he opened a restaurant as a line cook in Ukiah, earning a swift education in the business, its pitfalls, and a passion of the restaurant world. It wasn’t until Sasto landed in San Francisco under the tutelage of Chef Jason Berthold at RN74 that he really started to find his footing. Quickly rising through the ranks from Line Cook to Sous Chef in a short six months, Sasto went on to work under new Executive Chef Adam Sobel, with whom he launched a winning streak at Cochon 555 competitions, culminating in the top prize at Aspen’s Food & Wine Classic in June of 2013. Following a break to travel through Europe, Sasto brought his newfound international inspiration to Quince, where he started at rustic Italian sister-restaurant Cotogna, before spending three years at the three-Michelin-starred restaurant. Under Chef Michael Tusk, Sasto was trusted to manage the handmade pasta program at Quince, learning the ropes and roots from one of America’s most celebrated Italian-influenced chefs. Of equal impact, Sasto simultaneously managed the market program at Quince, meeting with local farmers and purveyors at weekly farmers’ markets in San Francisco and Marin County to source pristine ingredients that would inspire that week’s menu in the restaurant. As Executive Sous Chef at Lazy Bear, Sasto maintained his strong, cultivated relationships with local farmers and is passionate about showcasing their work on the plate. Working with Chef David Barzelay, Sasto brought his pasta prowess and attention-to-detail to Lazy Bear and continued to honor Bay Area product and producers with great reverence. At both Quince and Lazy Bear, Sasto has been an integral member of the team, impacting the rise from one to three, and one to two Michelin stars, respectively. 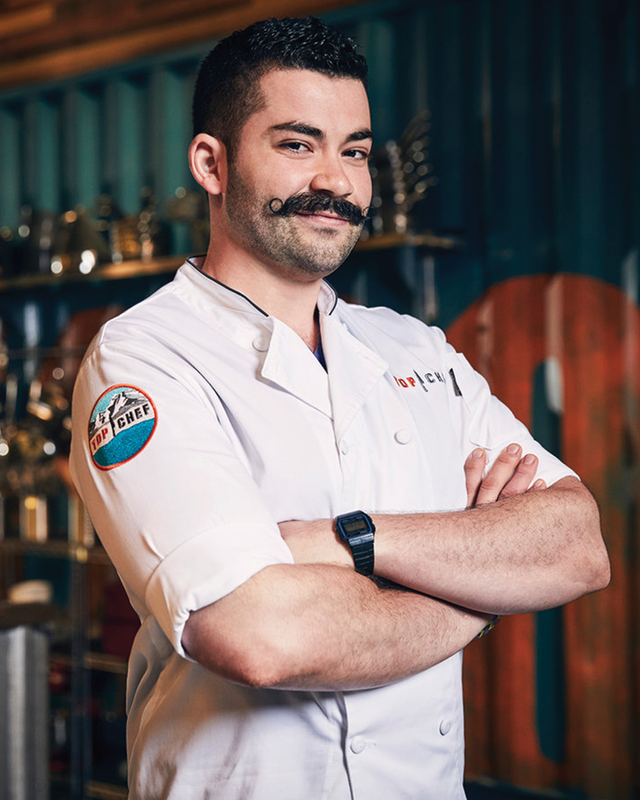 When not in the kitchen, he can be found foraging along the nearby coast, rolling out pasta “fatto-a-mano,” fine tuning his moustache, or sharpening his winning skills on such competition shows as; The Food Network’s “Chopped." This past summer, Joe finished in the top 3 of Bravo's "Top Chef - Season 15."